Lonnie Collins Motion lives in foster care. 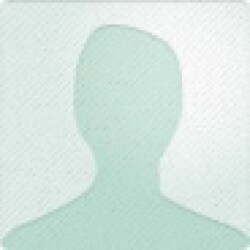 His parents died when he was seven, and he and his sister were passed around from church family to church family until they ran out of families. Then there were group homes, and finally, foster care. His little sister Lili has a new mother, a nice lady who takes good care of Lili, keeps her clean and dressed real pretty, but who doesn't want a son. He lives with Miss Edna, now, who has two grown sons and now, Lonnie, and it's starting to feel like home. 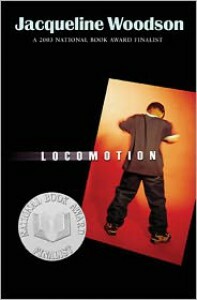 In school, Lonnie's learning about poetry; his teacher has everyone keep a poetry journal, and this book, Locomotion, is Lonnie's. Some of the kids hate poetry, make fun of it, but for Lonnie, poetry is like ripping the wrapping paper off of language, and it's opening up his whole world. Hmm. I'm not sure what to say, here. I'm totally invested in Lonnie, and I'm worried for him. Every time he got happy, every time he seemed relaxed or hopeful, I got scared, because I want so very badly for him to have a good life. Yes, yes, he's a fictional character, blah blah blah, but nothing about this book felt like fiction. It was really, just, so very very well done. Super short, and sometimes, 100 pages, especially 100 pages of verse, isn't enough to create the emotional investment you need for the book to be affecting, but this was 100 perfect pages. Gorgeous and sad and gilded.